If today’s executives are going to keep their organizations economically viable, they must explore new options while continuing to build on past strengths—they must be innovative. New options don’t only mean new products, services, and processes either—they can dictate major paradigm shifts, such as new business models, decisions to enter new markets, and changes in leadership styles. To compete, leaders need to leverage resources (e.g. people, time, systems, and capital) in creative ways. And to encourage a safe and supportive environment for creativity, leaders must build a culture that inspires and encourages innovation. The world of music and the world of business have many interesting parallels. What might business leaders learn from music leaders about tapping into people’s creativity, and about managing “creative tension” to ensure a balance between seemingly opposing forces? After years of working with creative talent, most successful symphony orchestra leaders know that the style of highly revered maestros from the past doesn’t work with today’s talent. People with creative talent share similar traits with many of the members of today’s workforce, which contains multiple generations of employees who may challenge the status quo, or the processes of the past. To ensure sustainability, leaders need to make sure that their organizations maintain a balance between competing priorities and conflicting forces. Innovation is a juggling act for most leaders, especially since they often have to balance operational excellence while responding to mandates from executives to explore new territory. Many successful leaders of innovation view their work as both an art and science. Let’s examine the parallels in making music. An orchestra metaphor helps us see the benefit of building on past successes, as most symphony orchestra leaders do, but it also shows how that may not be enough to compete effectively in today’s hyper-competitive markets. If leaders are to adapt to the ongoing dynamics of internal and external shifts, they must continually deliver value. The same goes for people in the music business. A few innovative symphony orchestra leaders are now blending classical and new music, matching it in culturally appropriate ways to the changing demographics and preferences of today’s diverse audiences. Of course, business leaders have been meeting and anticipating consumers’ needs for years, through adjacencies, new or enhanced products or services, and expanded distribution, but these methods usually only facilitate incremental innovation. A jazz metaphor best illustrates what to do. Like experienced jazz musicians, business leaders might benefit from “playing” with ideas that have the potential to meet needs and also potentially disrupt markets and even entire industries. Without disruptive innovations, leaders can limit the growth of their organizations and ultimately compromise their ability to keep pace with competitors. In part, you find the “science” that brings lasting value and ensures mastery in symphony orchestras in the sheet music—or “score.” Its expression markings, instructions for the tempo (the speed of the piece), and notes on scales represent an enduring record of the intentions of the composers. One also determines the value created by symphony orchestras by the way in which musicians adhere to the score while bringing life to it. In business settings, the “science” that can create value, and also preserve it, is evident in the “scores” produced by strategic and operations planning as well as other critical processes such portfolio management, performance management, benchmarking and metrics, and process optimization. In contrast to the way symphony orchestra leaders insist on adherence to the score, jazz musicians bring life to the music “as they go”—as do leaders of start-up operations. Through ongoing co-creation and collaboration, jazz musicians and leaders of start-ups alike deliberately produce something new or different. Business leaders at start-ups also create portfolios of potential strategies with the intent to match them to potential opportunities as they arise. Christopher Seamen, Conductor Laureate for Life of the Rochester Philharmonic Orchestra and author of Inside Conducting, says that when conductors use their batons to “beat out time,” they’re attempting to keep members of their orchestras in synch. He also says that orchestra leaders must do this carefully so that musicians play in harmony without being forced to adhere to a mindless rhythm that leaves little room for creativity. Leaders need to find the right balance between idea generation and execution. Most would agree that there is still too much focus on idea generation and not enough on execution. That’s because people innately prefer the “front end” of innovation, where brainstorming and other ways of generating ideas can be fun. Far less exciting, and certainly more grueling is the “back-end” of innovation—where ideas are translated into actionable strategies and executed. Leaders at the back-end of innovation ensure balance by keeping projects on course and within budget while continually innovating by looking for better or more efficient ways of operating. When leaders lack the skills to achieve the right balance between people and processes, they can focus too intently on the “people” side of innovation and underestimate the process side. This imbalance can lead to potential breakdowns in both the generation and execution of good ideas. Conversely, leaders can also put too much focus on the “process” aspect of innovation and overlook the importance of tapping the best talent for creative and collaborative input. The right balance between these two important innovation enablers is essential to successful innovation. Leaders of innovation also recognize the value that comes from diversity, especially when people build on one another’s ideas. They stimulate new thinking while also supporting and shaping it. They know that passion is essential for a steady output of ideas, and they know how to build cultures that encourage it. They also ensure support through sound infrastructures and efficient processes. And above all, they’re skilled at managing the complex interplay among people, partnerships, and processes that make innovation happen. To maintain optimal performance and achieve balance and harmony, effective leaders encourage freedom of expression, and they don’t burden people with excessive control. At the same time, they ensure alignment of personal agendas with organizational priorities. And to fully enable innovation, leaders like these empower people by giving them space to develop and share ideas and goals. The importance of achieving a balance between opposing forces, and the skills and competencies needed to manage today’s talent are essential to orchestrating sustainable innovation. By understanding the opposing forces at play, you can become an “innovation maestro” capable of inspiring and sustaining innovation. Professional conductors know that to inspire the best performance, they need to balance orchestration with improvisation, innovation with execution, people with processes, and autonomy with alignment. It’s no easy task. However, if you are able to achieve this balance in your organization or team, you may be surprised what beautiful and innovative music you can make. Andrea Zintz, Marilyn Blocker, and Megan Mitchell are the authors of the recent book Orchestrating Sustainable Innovation: A Symphony in Sound Bites. You can listen to Andrea Zintz discuss Shaping, Stimulating, and Supporting Innovation on the Working on Purpose Podcast. Andrea Zintz is President of Strategic Leadership Resources LLC (SLR), specializing in executive and high potential leadership strategy, succession and development. 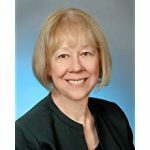 She has over 40 years of experience in leadership development, change management, Human Resources development, and training. 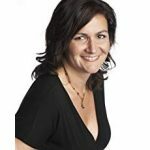 Acting as a consultant, strategist, team facilitator, executive coach, and trainer, Andrea helps organizations undergoing restructurings, mergers, acquisitions, and changes in management and key processes. Megan Mitchell is the Principal of Mitchell Consulting and Program Director for the Centre of Excellence in Applied Innovation Management at Schulich Executive Education Centre, Schulich School of Business at York University. 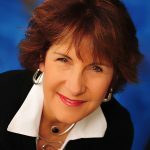 Her sales, marketing, HR and leadership roles in Fortune 100 companies have given her a strategic lens and practical edge when consulting, facilitating, training, and providing team and one-on-one coaching. As Managing Principal for Innovation Outcomes, Marilyn Blocker draws on a 30-year background that includes multi-industry leadership and consulting experience. She has met challenges at all stages of the organizational life cycle, in both start-up and mature organizations, and at corporate, division, and business unit levels.